CHICAGO, IL – Shifting paradigms and disappearing paradoxes dominate these times, as the world turns while hurtling its way through the galaxy on a much speculated upon path, its present in upheaval, its future, uncertain. Is it the beginning of The End, or of The Beginning? is the question. My vote is for the latter. The beginning of The Beginning. The birth of a new reality that emerges from the tumult of the Here and Now, of which we are witnesses, writers (by the choices we make), and experiencers. I am in my hometown of Chicago, taking some time to be with mom, enjoying the golden apple pie that, like a great alchemist, she conjures up from humble ingredients. Her pies (sweet potato too) have served as the benchmark for every pie I have ever tasted. She’s still got it; apples neither too tart nor too sweet. Maybe it’s the love she puts into each ingredient that transcends its potential ill-effects, and reminds me of home. Over the past weekend I spoke at the South Eastern Iowa Longevity Conference, in Fairfield, itself an oasis of transcendental thinking among the expanses of pasteurized dairies and genetically engineered farmlands. The New Beginning (i.e., natural, unpasteurized dairy, GMO-FREE growing practices), will evolve as we move away from many practices that have become familiar. Dependence on “the miracle of chemistry” being one. We use chemicals in so many ways, without question, that the detrimental cumulative effects on our physiological and mental health, has not even been noticed by the powers that be, much less acknowledged to be culpable. So we must take notice ourselves, as well as embrace new methods. The New Beginning won’t necessarily look drastically different from the familiar. But our experience will be very different. The talk that I gave was titled, “PHOTONIC WATER: For Better Energy, Health, and Life.” This too represents an old concept looked at from a new perspective. The view itself isn’t new. Energy has always been with us, because we have always been Energy. What’s new is that we’re acknowledging its primacy. We’re seeing the energetic perspective as a viable, valuable, and indeed, the FIRST FACTOR that should be considered, in determining what’s beneficial or not with regard to water treatment. “Purity” is no longer measured in terms of nothingness. Water with no minerals is electrically inert, the intent behind which would act as a slow poison. Optimal water is balanced, not only in terms of pH, but energetically, in terms of negative entropy. In the new energy conscious world, positive entropy is known to be disruptive and destructive on subtle systems, whereas negative entropy, as are negative ions, have harmonizing and cohering properties. Harmony and coherence are present when we are healthy. If they introduced when we are sick, heal begins to return. Our observations about entropy apply to water, but also, to every product, every thought, idea, or concept, and every emotion. When we “tune-in” to energy (and everyone can do it), we gain insights that don’t reveal themselves if we’re limiting ourselves to information confirmable only by our five senses. Over the past two years my attention has turned to the subject of water, its nature, and role in the unfolding story of human life and health on earth. The fact that we have been “fighting” what has become a losing battle with health, can be tied very closely with our relationship to, and thoughts about water, and related topics. Needless to say, if we’re losing a battle to maintain health, the more looming specter is that we’re also on the deficit side of the quest to sustain life. Life WILL be sustained, but not by continuing to do things that way we’ve been doing them. Therefore, the beginning of The Beginning is upon us, as The End of the Familiar is at hand. 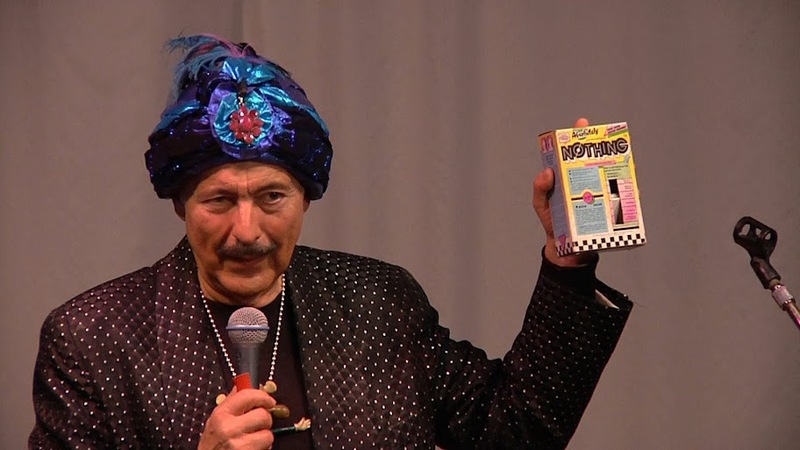 I had a wonderful time in Fairfield and absolutely enjoyed getting to know Steve Bhaerman, both the co-author of Spontaneous Evolution: Our Positive Future and How to Get there From Here, and the alter-ego of the comedic stage personality known as Swami Beyondananda (www.wakeuplaughing.com). Having heard of, but never having seen a Swami performance myself, I could not have imagined enjoying comedy that much. He speaks with comedic brilliance from a familiar, but rarely broadcast perspective. There was no obligatory laughter to be found masking over uncomfortable, or downright dangerous ideas. Not only did I have the pleasure of watching the Swami’s performance at Fairfield’s Morning Star Studios, I captured it on video. I will give Steve an opportunity to view it as a process of gaining permission to share it as a video or CD title, but in my opinion, he’s that good. My original plans were to travel to New Orleans from here to co-present, along with Wil Spencer, a series of workshops, titled, The Power to Heal is Within – in New Orleans and Baton Rouge, LA, and in Biloxi, MS. You may recall that Wil was the object of some controversy and scorn when he had the audacity to try to help residents of the Gulf Coast states who are experiencing the ill-effects of the highly chemicalized environment, using a number of products, including one he called, “Advanced Oxygen Therapy,” which was a relabeled MMS/chorine dioxide product. Instead of avoiding controversy, he incited it when someone recognized the ingredients of his AOT and, putting two and two together, deciding that a fraud was being perpetrated. Fortunately, several people who have in fact been helped by Wil’s protocols – of which MMS/AOT was only a portion – have mobilized to organize the workshops so that more people who were interested could hear and learn. For my part, I will talk about water and energy, and electricity, bringing with me some new technologies that I’ve been introduced to recently that can help restore cellular, energetic, electrical, and lymphatic system circulation, all of which are natural byproducts when energetic coherence is increased with a concomitant decrease in entropy. The developments that are unfolding at this moment on the Mississippi River, which will impact the Gulf Coast region over the next several weeks to some presently unknowable extent, made it prudent to postpone the gatherings until things settle down. This is all part of The New Beginning.